First Citizens Bank Business Loans: Are They Right for You? 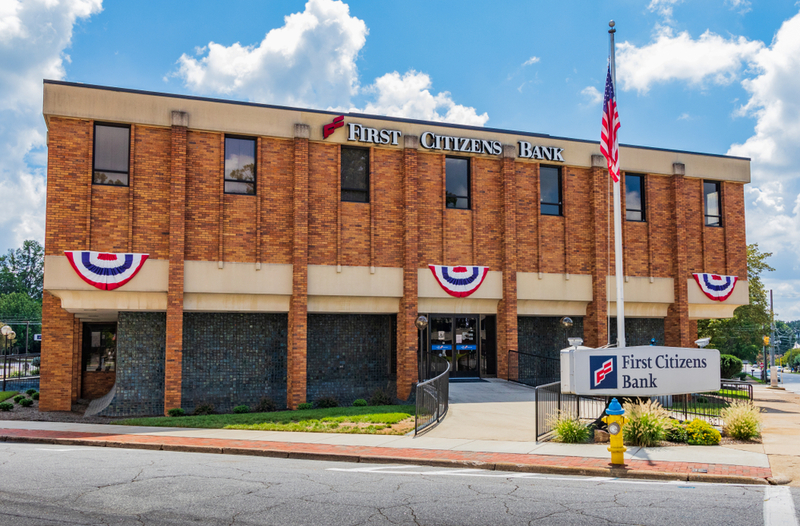 First Citizens Bank is a national bank headquartered in Raleigh, North Carolina, that has been providing financial solutions to consumers and businesses for over 100 years. Along with First Citizens Bank’s business banking options, the bank has an entire suite of small business loans to address diverse funding needs that business owners might face. Of all of the six First Citizens Bank business loans options that this bank offers, is one of them the right funding fit for your business’s capital needs? We’ve compiled all the details on the six First Citizens Bank business loans—along with their top alternatives—so that you can decide for yourself. One of the First Citizens Bank business loans you’ll have as an option from this bank is an SBA 7(a) loan. Because they’re able to address a wide variety of use cases, SBA 7(a) loans are the most popular kind of SBA loans available. And because First Citizens Bank is part of the SBA Preferred Lender Program, they’ll be able to fund qualifying business owners more efficiently. Just like any other SBA 7(a) lender, First Citizens Bank will be able to fund SBA 7(a) loans ranging from $50,000 to $5,000,000 with terms as long as 25 years. That said, you’ll still have to qualify for an SBA 7(a) loan based on what First Citizens Banks refers to as “normal credit approval,” which could be a pretty involved and selective process, especially because SBA loans are particularly document-heavy and difficult to qualify for. Be sure to double check that First Citizens Bank offers these business loans in your area before you sink time into completing the application for one. First Citizens Bank’s status as a Preferred SBA Lender is also applicable for this form of SBA funding, so you’ll still be able to the same efficiency should you decide to go for this First Citizens Bank business loan option. As with any SBA 504 loan provider, First Citizens Bank is able to provide SBA 504 loans that can finance up to 90% of a project or investment, totaling up to $6,000,000 in loan amount. Plus, these loans can carry repayment terms of up to 20 years, which will make paying them back that much more affordable. A third option within your First Citizens Bank business loans choices are their straightforward term loans. A term loan—especially one from a bank lender like First Citizens Bank—is pretty much the most traditional form of business funding you can access. In fact, it’s probably what you imagine when you imagine a business loan—a lump sum of capital that you’ll repay, plus interest, on a monthly basis. 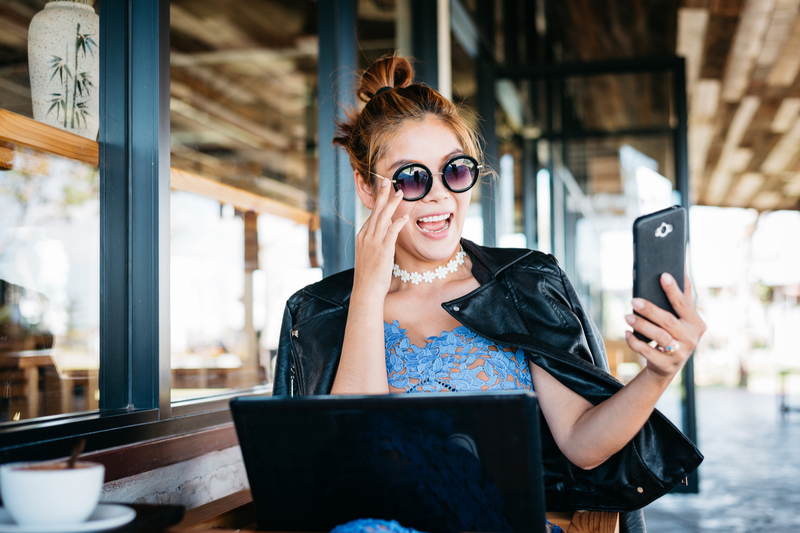 Because bank term loans are most often able to offer the best rates on the market, a term loan from First Citizens Bank will likely be one of your more affordable options if you’re able to qualify for one. Unfortunately, though, that is one big “if.” Unless you’re highly qualified—with at least two years in business and a personal credit score of at least 700—and you have a pre-existing relationship with the bank, bank term loans are nearly impossible for small businesses to qualify for. So, though First Citizens Bank’s website merely says that “normal credit approval applies” regarding who will qualify, it’s easy to assume that—like most other bank loans—only the most traditionally qualified small businesses will be able to access these First Citizens Bank business loans. Within their small business financing arsenal, First Citizens Bank also offers business lines of credit. Through this form of First Citizens Bank business financing, qualifying businesses are able to access a credit line from which they can withdraw funds as needed. Once you draw from a business line of credit, you’ll repay your debt on a monthly basis until you’ve repaid your borrowed amount, plus interest, in full. Business lines of credit are ideal for recurring, short-term costs that your business might face, like making payroll or stocking inventory. Plus, business lines of credit from banks like First Citizens Bank typically offer the most ideal terms, with low interest rates, long repayment schedules, and high credit limits. And once you’ve repaid your debt in full, you’ll once again have access to your full credit limit to draw on as needed. Again, though, business lines of credit from banks like First Citizens Bank are much harder to qualify for—be sure you’re shored up with a solid personal and business credit score and an established time in business before you apply for this First Citizens Bank business funding. First Citizens Bank also offers equipment financing and leasing for qualifying small businesses that are hoping to access capital to invest in a specific piece (or pieces) of equipment. For instance, if you’re looking to purchase a truck for your business, First Citizens Bank offers equipment financing of up to 100% of the equipment’s value with repayment terms ranging from two to five years long. Even more, they’re willing to offer equipment financing for both new and used equipment, which isn’t always the case—especially for bank lenders, who tend to be on the pickier side of the equipment financing spectrum. Plus, these loans will be no smaller than $250,000 and have no maximum loan amount, so you’ll be able to access larger sums of capital for your commercial real estate purchase. Be sure to note that—though your APR will fluctuate through the life of your adjustable rate loan—APR floors and caps will still act as bookends to these adjustable rates. And if you’re able to pay back your debt ahead of schedule—no matter how early—you’ll only incur a 1% prepayment penalty, which could allow you to save huge amounts on avoided interest. The thing to keep in mind about all of these First Citizens Bank business loans? They aren’t necessarily the most accessible funding options. As with most bank business loans, First Citizens Bank business loans are only available to the most qualified small businesses. And even if you are able to qualify, the application and funding process will take much longer with a bank than it will with more tech-based, alternative lenders. The alternative lender Fundation offers both medium-term loans and medium-term business lines of credit of up to $350,000. Fundation loans and lines of credit can come with terms from a year to four years long and with interest rates as low as 7.9%. And they are much more accessible than First Citizens Bank business loans—to be eligible for a Fundation loan or line of credit, you’ll need at least $100,000 in annual revenue, a personal credit score of 660+, and at least a year in business. And the best part? If you’re applying for Fundation funding of $100,000 or less, you’ll only need to provide three months of business banks statements to apply. With their streamlined documentation requirements and underwriting processes, Fundation can fund qualifying applications in as little as a day. As another alternative lender that offers medium-term small business funding, Lending Club’s term loan is a stellar alternative to First Citizens Bank business loans. Lending Club term loans range in size from $5,000 all the way up to $500,000, with repayment terms ranging from a year to five years. Plus, interest rates can drop as low as 5.9%—low enough to maybe even compete with the bank loan rates that First Citizens Bank business loans offer up. Lending Club also boasts some pretty lax minimum eligibility requirements—you’ll need at least $50,000 in annual revenue, a personal credit score of 620+, and at least a year in business to be able to apply. If Lending Club sounds like the perfect alternative to First Citizens Bank business loans for you, then you’ll simply need to gather three months of business bank statements and your most recent business tax return to apply. And if you qualify, then Lending Club can fund your application as quickly as the day of. Finally, if you were looking into First Citizens Bank business loans specifically for capital to purchase equipment, then you should also consider applying for equipment financing from Balboa Capital. This alternative lender offers equipment financing in amounts as small as $2,000 all the way up to $500,000, with repayment terms ranging from two to five years’ long. The real draw of Balboa Capital equipment financing, though, is the rates—they can get as low as 3.99% and only go up to 25%. And because the equipment you purchase with Balboa Capital equipment financing will act as collateral of the equipment financing itself, Balboa Capital will be taking on less risk. As a result of this lessened risk, this business funding option has less strict minimum requirements: You’ll need at least $100,000 in annual revenue, a personal credit score of 600+, and at least a year in business to be eligible. And if you’re applying for financing of less than $250,000 from Balboa Capital, you’ll simply have to provide a Certificate of Good Standing, a voided business check, and a copy of your driver’s license to apply. Are First Citizens Bank Business Loans the Right Fit for Your Business? Now that you’ve made it through this guide to the six First Citizens Bank business loans—and three of their top alternatives—you’re ready to decide whether or not any of the bank’s business loans offerings are the right fit for your business. If you decide to move forward with any of the six First Citizens Bank business loans, be sure to fortify your business loan application and your patience for a lengthy funding process. That said, if you’re able to wait it out and eventually succeed in qualifying for one of these First Citizens Bank business loans, then you’ll likely be set with the low rates that bank loans often offer.